I would like to ask the following questions: 1) whether there is in your form a field with a possibility of addition of files for downloading by users who will be registered and have an opportunity to download the program of a forum for acquaintance? 2) Whether perhaps in your form unloading of the created applications for participation in the Excel and word format (that is to keep the received applications for the computer in the Excel and word format)? A possibility of placement on the page of registration the program of a forum, presentation materials, etc. for downloading and viewing. Opportunity formation and updates of the list online. 1) Whether there is in your form a field with a possibility of addition of files for downloading by users who will be registered and have an opportunity to download the program of a forum for acquaintance? This is possible to add the file download links using a Text field type. Please note that the files should be hosted elsewhere in this case (e.g. your server, Google Drive, Dropbox). The form submission data can be always accessed and managed from the form submissions page. You can also download the data in the Excel, CSV and PDF formats. The word .doc, .docx formats are not supported. 3) A possibility of placement on the page of registration the program of a forum, presentation materials, etc. for downloading and viewing. 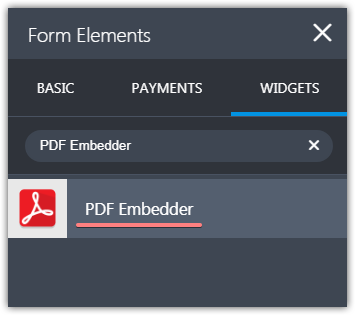 If you have some materials in a PDF format you can embed them to your form using a PDF Embedder widget. It should be also possible to embed YouTube, Adobe Flash and other content. 4) Opportunity formation and updates of the list online. 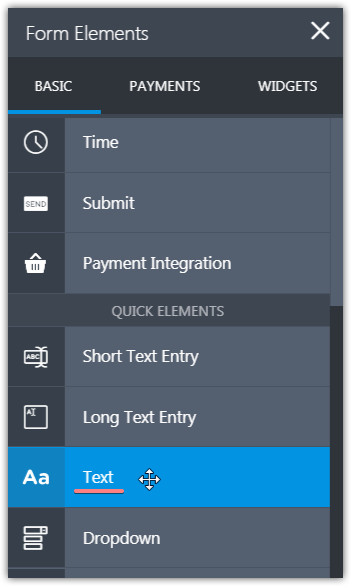 The form itself, and received submission data can be edited from within your JotForm account. Thank you very much for your detail answer!